This page was built in November 2015 following our Central Maine Meet the Buyers event on 11/4/15. We plan to add more resources over time. Please contact us with any questions or feedback. 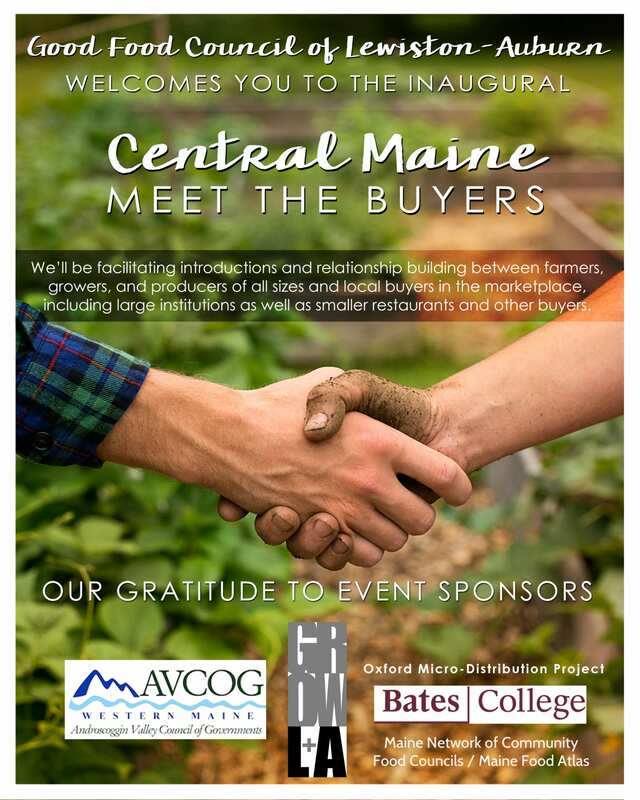 On 11/4/15 we hosted an inaugural Central Maine Meet the Buyers event. We brought together food producers and wholesale buyers of all sizes to meet each other and discuss Farm to Institution barriers and solutions. About 50 guests were in attendance.